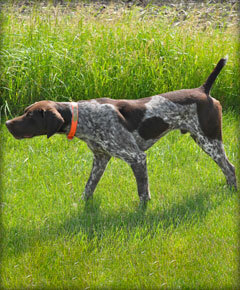 These are the dogs we have elected to keep in our kennel in order to select and reproduce the desired traits to further the German Shorthaired Pointer breed. 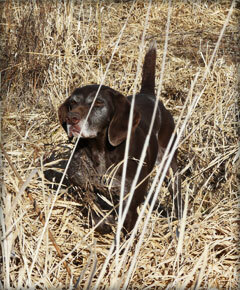 Our dogs are not for sale but we will be offering puppies from selected litters, as well as started and finished hunting dogs, to good homes in need of exceptional hunting or household companions. 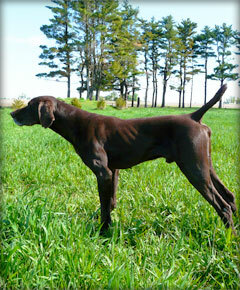 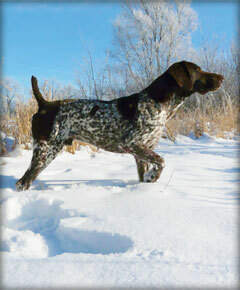 To see German Shorthair dogs available for sale, please visit our Sale Dogs page.